What is psychic telepathy? Psychic telepathy comes from the Greek word that means being affected by something that is distant. Discovering your spiritual path usually isn’t based on simply finding your personal path. Wouldn’t it be nice if it were that easy? Paranormal experiences are actually far more normal than most of us think and believe. Here are the top 5 most common paranormal experiences. Have any of these happened to you? Is your name considered unlucky? Use Numerology to find out if your name is lucky or unlucky. What Are Your Psychic Gifts? We’ve all heard words like clairvoyance, clairsentience, clairaudience, precognition and telepathy. Do you have psychic gifts? Take this quiz to find out! One of the ways to find out might be to take a clairvoyance test. 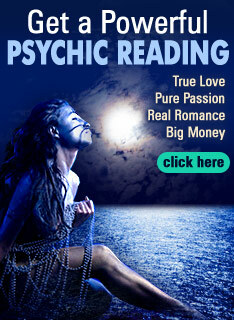 This type of test is developed to check your psychic ability. So Where Does Halloween Come From Anyway? As we celebrate Halloween today, do you know where this unique holiday comes from? Why people actually celebrate Halloween in the first place? When an individual is nearing physical death, there is often a bizarre range of experiences that may be encountered. Learn these characteristics of near death experiences. Most beginners to the psychic development process become interested after they’ve had an unusual or paranormal experience. They ask themselves, “Am I psychic?” Are you one of them? Is today a good day for you? Learn how to calculate your Personal Day Number and determine the best day for you. Have you ever wanted to make your own personalized fortune cookies? Think of what a great gift this type of fortune cookie would make at a shower, birthday party, or wedding celebration.